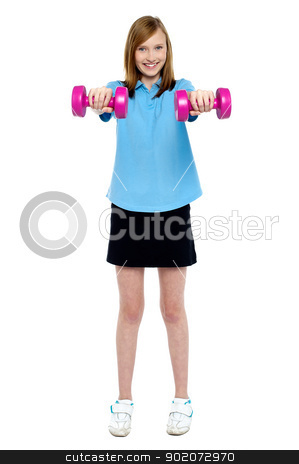 Slim girl striking a pose with dumbbells. Lifting weights. Full length studio shot.